A clear sky. Low 39F. Winds NW at 15 to 25 mph..
A clear sky. Low 39F. Winds NW at 15 to 25 mph. CLEAR LAKE – Lena Marie Peyton, 95, of Clear Lake, died Wednesday, March 6, 2019, at Oakwood Care Center in Clear Lake. A Celebration of Life will be 11:00 a.m. Tuesday, March 12, 2019, at Ward-Van Slyke Colonial Chapel, 101 N. 4th St., Clear Lake, with Rev. Art Zewert, Chaplain of MercyOne North Iowa Hospice, officiating. Inurnment will be at Clear Lake Cemetery. Family suggests memorial contributions to the Lena Peyton Memorial Fund. 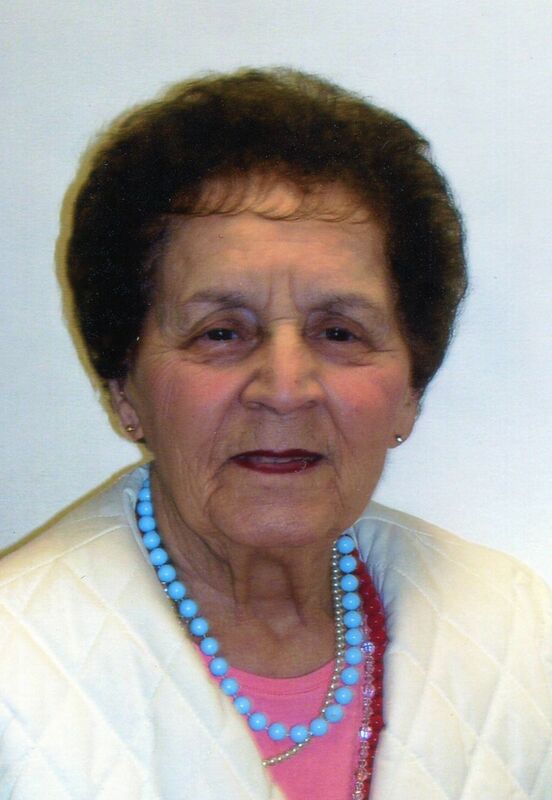 Lena was born February 10, 1924, the daughter of Dominico and Spinalba (Chiarme) Nardicchio in Mason City. She married Max Zirbel on February 15, 1942, and to this union four children were born. He preceded her in death on January 28, 1971. She married Merle Peyton in June 1974 and they later divorced. Lena grew up and attended school in Mason City. She was a homemaker, worked at EF Johnson in Mason City, Sperry Univac in Clear Lake and Asgrow. Lena was raised in the Catholic church prior to joining the First Congregational Church in Clear Lake. She was a member of the Clear Lake VFW Auxiliary and the American Legion Auxiliary in Dows. She enjoyed gardening, creating floral arrangements, cooking, baking, and loved dancing. Most of all, she was a wonderful mother, grandmother and caregiver. She always took pride in caring for others. Lena is survived by her children, Julie (special friend, Arvid Matson) Wiebenga, Clear Lake and Jay Zirbel, Guerneville, CA; five grandchildren, Rich Zirbel, Domenie (Jeff) LaGue, Cali (Spencer) Klooster, Jesse (Sarah) Reimer and Scott (Ashley) Zirbel; five step-grandchildren, Debbie Hearst, Alison McGee, John Reimer, Jack Reimer and Doug Wiebenga; six great-grandchildren, Tanner (Emilie) Zirbel, Jenna Zirbel, Tyson Zirbel, Alex Zirbel, Jordan Klooster and Logan Klooster; four step-great-grandchildren; sister, Florence Dewey; daughter-in-law, Kay Zirbel; former son-in-law, Ivan Reimer; and many nieces, nephews and cousins. She was preceded in death by her parents; husband; two sons, Roger and Michael Zirbel; step-grandson, Melvin McGee; siblings, Joe (Helen) Nardicchio, Mary (Gail) Lamb, Josephine (Vern, Sr.) Ellefson and Pauline Nardicchio; son-in-law, Clancy Wiebenga; and brothers-in-law, William Dewey, Sr., Frankie (Ada) Zirbel and Raymond (Lola Mae) Zirbel. QUEEN CREEK, AZ – It is with great sadness that the family of Natalie M. Weber (Nelson), 81, announce her passing on February 13, 2019. Natalie passed away at home in Queen Creek, AZ, surrounded by her loving family. Natalie had a love for Native American art, Monument Valley, cacti gardens, and her family of quail. She had a contagious smile that warmed everyone's heart. She will be deeply missed by her family, friends, and all those whose lives she touched. Natalie was born February 18, 1937, in Verdigre, NE. She resided in Clear Lake, IA, for many years before moving to Arizona in 2001. She will be lovingly remembered by her husband and best friend of 44 years, David Weber; her two daughters, Teresa Tomasulo (Michael) of Carnation, WA; Sheila Burnsworth (Joseph) of Mesa, AZ; her sister, Elly Harmeyer of Clear Lake, IA, 5 Grandchildren, Jason Quigley, Amber Swenson, Alecia Frink (Kyle), Roslynn Runia, and Lacey Olesen Perez; 4 Great-grandchildren, and many nieces and nephews. Natalie was preceded in death by her two sons, David Phillip Weber Jr. and Dwight Krukow; her parents, Alton and Gertrude Nelson; her brother, Aloyce "Bud" Nelson. Funeral services were held on February 20, 2019, at San Tan Mountain View Funeral Home, Queen Creek, AZ, followed by a graveside service at San Tan Valley Memorial Gardens, Queen Creek, AZ. Condolences may be sent to David Weber, 3294 W. Hooper Trail, Queen Creek, AZ, 85142. 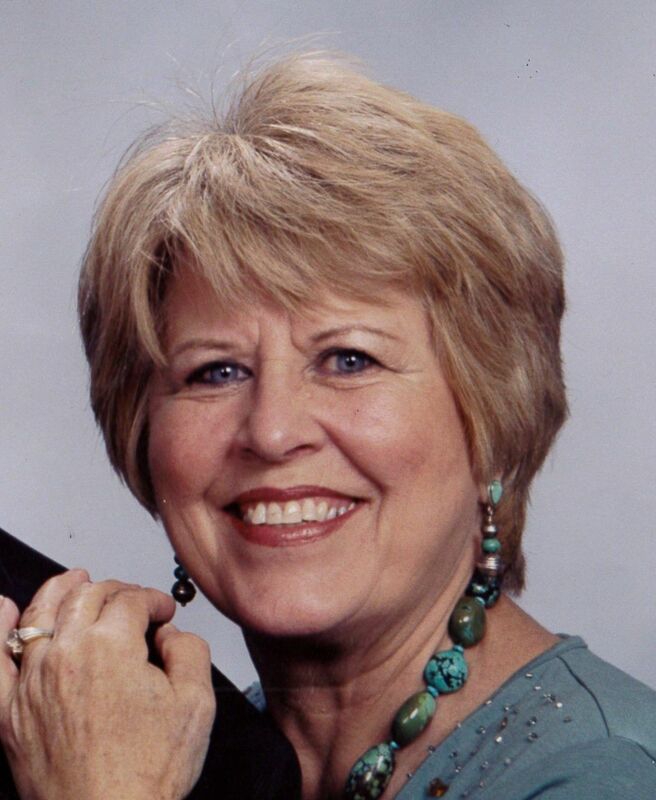 CLEAR LAKE --- Marilyn J. Purlee Smith, 76, of Clear Lake, Iowa passed away on March 4, 2019, surrounded by family at MercyOne Medical Center-North Iowa. A private family inurnment will be at Elmwood-St Joseph Cemetery at a later date. Memorials may be directed to the American Heart Association or to the family through Major Erickson Funeral Home. Marilyn was born on February 19, 1943 to Robert and Evelyn (Jellinger) Purlee. She was baptized and confirmed at United Presbyterian Church in Alexis, IL. She graduated from Alexis High School in 1962. She went on to attend Iowa State University graduating with a degree in Child Development in 1975 and a Master's Degree from University of Northern Iowa in 1989. She married Richard L. Smith in November of 1965. They made their life in many different communities throughout the Midwest. In 1969 she became a stay at home mom with the birth of their first daughter, Laurel. Their second daughter followed a few years later and in 1974, Allison was born. Marilyn dedicated her life to her children making them into the strong women they are today. Marilyn retired in 2006 from North Iowa Area Community College where she made a difference to many students offering guidance, encouragement, and support. Following her retirement in 2006, Marilyn did what she loved, which was helping raise a family. She moved in with Allison and her family and assisted with raising her grandsons, Alex (18) and Max (15). Marilyn loved supporting Alex and Max by attending scouting and sporting events. One of the last things she was able to do was see Alex get his Eagle Scout rank. She was proud of both of her grandsons. Marilyn will be greatly missed by her daughters, Laurel (Jeff) Thompson, Cedar Falls, IA and Allison (John) Deike, Clear Lake, IA, her grandsons Alex and Max Deike. She is also survived by her sister, Judy (Dave) McCrery; brothers John (Rosemary) Purlee, Corvallis, MT, Jim (Suellen) Purlee, Galesburg, IL, and Joe (Penny) Purlee, Alexis, IL; many cousins, nieces, and nephews. She was welcomed into heaven by her father and mother; one brother, Dudley; and sister-in-law Ann; and one nephew David McCrery III. CLEAR LAKE - Charles W. Rayburn, 95, of Clear Lake passed away Thursday, March 7, 2019 at Oakwood Care Center, Clear Lake. Funeral service will be held 10:30 a.m. Friday, March 15, 2019 at Clear Lake United Methodist Church, 508 2nd Avenue North, Clear Lake, with Rev. David Peterson officiating. Burial will be held at a later date. Military honors will be conducted by the Clear Lake VFW. Visitation will be held 5:00 p.m. to 7:00 p.m. Thursday, March 14, 2019 at Ward-Van Slyke Colonial Chapel, 101 North 4thStreet, Clear Lake. In lieu of flowers, memorials are preferred to Clear Lake United Methodist Church or One Vision of Clear Lake. Charle was born January 12, 1924 at Bloomfield, Iowa, the son of Doy and Eulala (Williamson) Rayburn. He graduated from Bloomfield High School in 1942 and went to work at the Rock Island Arsenal until inducted into the Navy Seabees in 1944. Charles served in the South Pacific during the Okinawa invasion and was honorably discharged in February 1946. Charles was united in marriage to Ruth Jean Sullivan on January 31, 1947 at the Christian Church parsonage in Bloomfield Iowa. He was happily married to his loving wife for 66 years. Charles started work in the lumber business under the GI Bill with Eclipse Lumber Company in Bloomfield, Iowa and managed lumberyards in Prescott, Aurelia and Marcus, Iowa and Blue Earth, Minnesota. He was a manager at Woodford Wheeler Lumber Company in Clear Lake, Iowa from January 1965 until his retirement in 1989. Charles was a member of Clear Lake United Methodist Church, a lifetime member of the Veterans of Foreign Wars and a former Rotarian. He enjoyed being with his family and was especially thankful for the many years family members gathered at home for Thanksgiving and Christmas. In addition, Charles enjoyed traveling, reading, listening to good music and riding his bicycle. Charles was known for his dry wit, patience and humble demeanor. Gentle and reserved by nature, Charles could calm crying babies and misbehaving dogs. Charles is survived by four children Jack (Beth Christensen) Rayburn, Mankato, MN., Gene (Judy) Rayburn, St. Paul, MN., Russell Rayburn, Clear Lake, IA., and Ann (Dennis) Wall, Des Moines, IA two grandchildren, Elizabeth (Caleb) Barron, and Brian Charles (Jillanne) Wall; two great grandchildren StaaleBarron and Whittaker Wall. Charles was preceded in death by his wife Ruth Rayburn;parents Doy and Eulala; stepmother Florence; brother James and his wife Mary; stepbrother Karl Knupp and his wife Wanda. RUDD --- James "Jim" D. Peterson, 65, of Rudd passed away March 8, 2019. A Memorial Service will be held 1:00 p.m. Tuesday, March 12, 2019 at Sheckler Colonial Chapel, 114 N Hawkeye Ave, Nora Springs, IA 50458 with Pastor Sue Simmons officiating. Jim's family will greet friends from 5:00 p.m. to 7:00 p.m. Monday, March 11, 2019 at the funeral chapel. James David Peterson was born October 23, 1953 in Mason City to Addler "Pete" and Florence (Crook) Peterson. He grew up in Mason City, attending and graduating from Mason City High School. Following high school Jim found work as a bus mechanic. Working at the Rudd -Rockford- Marble Rock Schools for 30 years and becoming a bus driver for the last 9 years until his retirement in 2018. On April 22, 1989 Jim married the love of his life, Cynthia Watros in Rockford. Together they made their home in Rudd. Jim lived life each day to its absolute fullest. He was a man that never met a stranger. He found love in old things, antique pedal cars, antique gas pumps, and his two show trucks. Fixing things and tinkering brought joy to Jim, even if it probably caused him some sort of injury. He was a Chargers' football fan and blues music lover, Jim found joy in the simpler things in life. He was known for his sense of humor and quick wit - and was always trying to pull the wool over someone's eyes. He had a memory like a steel trap which would often get him into trouble. But most of all, Jim was a family man. He had a love for his family and was constantly looking forward to the next get together. His favorite spot was behind the grill or sharing the table in a game of pool. His grandchildren were the light of his life and he could constantly be found in the stands at their events. Left to cherish his memory include his wife of 30 years, Cynthia "Cindy"; his children, Jake (Dana) Peterson of Plymouth and Leah (Travis) Kline of Mason City; five beloved grandchildren, Brooklyn, Leah, Thomis, Carlie, and Maizie; sisters, Marcia (Dennis) Christensen of Manly and Nancy (Ray) Easley of Marion; sisters-in-law, Mary (Steve) Mrdjenovich, Sue Carr, Janenne (Tim) O'Donnell and Jennifer (Jeff) Ginapp; brother-in-law, Lon Watros; as well as numerous nieces, nephews, cousins and friends. Those preceding him in death include his parents, Pete and Florence; brothers, Bob Peterson and Gary Peterson; a sister, Sharon Norris; as well as his best friend ever, his companion Pepper. CLEAR LAKE – David Lien Theiss, 71, of Clear Lake, died Thursday, March 7, 2019, at his home. A Mass of Christian Burial will be 10:30 a.m. Thursday, March 14, 2019, at St. Patricks Catholic Church, 1001 9th Ave. S., Clear Lake, with Rev. John Gossman officiating. An inurnment will be at Clear Lake Cemetery at a later date. Visitation will be from 5:00-7:00 p.m. Wednesday, March 13, 2019, at Ward-Van Slyke Colonial Chapel, 101 N. 4th St., Clear Lake. In lieu of customary remembrances, family suggests memorial contributions to the Dave Theiss Memorial Fund, Clear Lake VFW Post 4868, or to St. Patricks Catholic Church in Clear Lake. Dave was born December 19, 1947, the son of Norman Barthel and Margery Caroline (Ramspott) Theiss in St. Louis, MO. He married Jane Mary Sujak in April of 1972, and to this union two sons were born. He later married Patrice Shannon on July 8, 1986, at Holy Family Catholic Church in Mason City, and to that union a daughter was born. A graduate of Widefield High School in Security-Widefield, CO, Dave enlisted in the United States Army and attended the West Point Prep School. In 1966, he joined the Merchant Marine Academy and was honorably discharged. He then attended Adams State College in Alamosa, CO, where he earned a bachelors degree and played football. In March of 1973, Dave moved to Clear Lake where he and his father bought Haddy Sporting Goods and opened Theiss Sports. In 1977, he and his sister, Jacky, opened Theiss Shirts in Clear Lake. Dave was a member of the Clear Lake VFW Post 4868, St. Patricks Catholic Church, and Knights of Columbus Council #7898 in Clear Lake. He enjoyed playing games and running the Monday Night Football Club, spending time with family and friends, and volunteering throughout the community in several capacities. He was recognized for 50 years of involvement with the Clear Lake Lions Football team, the Governor's Volunteer Award, Rotary Club Citizen of the Year, All State Team Post Quartermasters, Fourth of July Grand Marshall, and past president of Clear Lake Chamber and Economic Development Corridor. He was also very involved with the Winnebago Honor Flight; organizing and fundraising for eight flights. Dave is survived by his wife, Patrice Theiss of Clear Lake; three children, Adam (Kelly) Theiss of Clear Lake, Abram Theiss of Fort Collins, CO and Amanda (special friend, Thad Benson) Theiss of Clear Lake; four grandchildren, Emily, Andrew, Alexis and Maggie Theiss; two siblings, Jaclyn (Herb) Garlock of Clear Lake and Penny (Joel) Walde of Dillon, MT; siblings-in-law, Jim Shannon, Mike (Susan) Shannon, Dan (Deb) Shannon, Steve Shannon, Matt (Colleen) Shannon, Susan Shannon and Sheila Shannon; and many nieces, nephews and friends. He was preceded in death by his parents, Norman and Margery; parents-in-law, James T. and Marilyn Shannon; and two sisters-in-law, Carol and Marian Shannon. MASON CITY --- Richard L. Pitzenberger, 57, of Mason City, died Thursday (March 7, 2019) at Mercy One North Iowa-Hospice, surrounded by his loving family. A funeral Mass will be held at 11:00 am on Friday (March 15, 2019) at Epiphany Parish-St. Joseph Catholic Church, 302 5th St SE, Mason City with the Rev. Jacob Rouse as Celebrant. Rick's family will greet relatives and friends on Thursday evening (March 14, 2019) at St. Joseph Catholic Church from 4 pm until 7 pm. A Scriptural Wake service will be held at 7 pm. Friends and family are invited to bring along a fishing lure to the visitation to be left in Rick's honor. Should friends desire, memorials may be left in Rick's name to the Iowa Prairie Network. The son of Richard and Virginia (Boom) Pitzenberger, Richard Lee was born on October 24, 1961 in Mason City. He attended Newman Catholic High School, graduating in 1980. Following high school Rick attended NIACC. On June 11, 1982 Rick was united in marriage to his high school sweetheart, best friend, and love of his life, Peggy Ennis, at Holy Family Catholic Church; together they would be blessed with two children, Jacob and Samantha, and 36 years of marriage. For many years Rick worked alongside his brothers on their family farm before beginning his career at CED (Culver-Hahn) in Mason City. He left CED for nine years to manage Andrews Prestressed Concrete before returning for the remainder of his career. Rick was a true outdoorsman; he loved hunting, fishing, and spending time on the lake with family and friends. He was a loving and gracious husband, father, and grandfather. Rick loved sharing his passion for the outdoors with his grandchildren, and looked forward to teaching each one of them how to fish. He cherished time spent with family and friends over the years and especially loved trips and vacations with dear friends. Rick proved his love to others each and every chance he got. His softhearted nature and kind spirit will live on through everyone that he touched throughout his lifetime. Those grateful in sharing in his life are his wife, Peggy, Mason City; children, Jacob Pitzenberger, Des Moines, and Samantha (Brittain) Bachus, Des Moines; his beloved grandchildren, Ava Pitzenberger, and Rickie and Ronnie Bachus; mother in law, Marlys Ennis; siblings, Ed (Marcia) Pitzenberger, Ted (Judy) Pitzenberger, Tom (Julie) Pitzenberger, Pam (Mark) Amick, Mary (Chip) Pattermann, and Steve (Brooke) Pitzenberger; sisters in law, Julie (Dave) Cooper, Nancy (Bert) Lee, Mary (Jay) Miller, and Jodi Fisher; and Jeannie and Larry Kolpek; as well as many nieces, nephews, extended relatives and many friends. Rick is preceded in death by his parents; father in law, Richard Ennis; brother, Joe Pitzenberger; and sister, Janice Pitzenberger.